So you just got your degree. That is amazing and you should be proud and excited. Never forget though, college is expensive. There is no way around it. But leaving college also offers its own additional financial quagmires. Having a graduation party and the announcements, possibly relocating to a new town, hopefully having an immediate job, and now your school expects you to start paying them. These can all put a crunch on your budget and can get overwhelming very quickly. Luckily, by knowing the right tips and doing the proper research, your graduation expenses do not have to put a huge dent in your wallet. If you have any friends or family, you can expect that they’re going to want to know when you are graduating – Something that can’t, and probably shouldn’t, be avoided. This can cost a lot of money and time, but never ever forget your inner-DIY! If you are only sending out a handful of invitations to family and close friends, it may not be worth the money to have them professionally done. It all comes down to how you value money versus how you value your time. Now, if you were like a few of my friends in college who felt the need to invite their entire town, it may be more efficient to use an online card service that does all the work for you. Again, this is up to you to decide whether you prefer to be saving the most on time versus the most on money. If you decide you want to make 100 invitations by yourself, you may not end up graduating on time! If you decide to have a party, keep it simple. A graduation party does not have to be an extravaganza. While it is definitely an achievement worth sharing and celebrating, this isn’t a birthday. You don’t need a theme, you don’t need party favors, and you hardly even need decorations. A simple “Congratulations” sign and maybe a few balloons in the shape of a graduation cap. Add that with a few appetizers and drinks (doesn’t even have to be alcohol, that’s for later!) and you’ll be good to go. A graduation party that includes family and non-college friends is mostly a meet and greet of “Congratulations” and “Thank you’s.” These aren’t the types of parties you want to seriously invest money in. You can also do joint graduation parties with fellow graduating classmates. A great and easy way to split the cost! The immediate need after graduating college is a source employment. If you have a job lined up right out of college you are probably ahead of the game! The thing to remember when seeking employment is where you will be relocating. Being paid $20 an hour living in San Francisco is not the same as earning $20 an hour in Boise, Idaho. You should not just be focusing on the career you want, but where you will be able to earn the most compared to the cost of living in the new town or city you are employed in. Do your research! There are plenty of places to live for recent graduates. Finding a place that has a low cost of living with a high employment rate will end up saving you money right out of the gate. Thrift shops will also be your best friend. If you need any furniture or home decor, none of it needs to be new. You just graduated college, this is your “first” apartment or house! Remember your first car? For most us, as long as it got us from point A to point B, that’s all that matters. The same goes for your new home. It should be comfortable, but don’t think you need to be the next feature on Cribs. This is the big, scary one. Most colleges or universities have a grace period before payments on loans need to be made. For many loans, this is around six months. This means you have six months to find a job, a place, reliable transportation, and make sure you have enough income to drop a few hundred dollars on your student loans. No pressure in the “real” world, right? Repaying loans are never going to be fun, but it doesn’t always have to be scary. 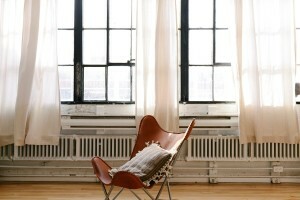 Refinancing is always an option, and sometimes your best bet on saving money in the long run. Refinancing is essentially taking out a new loan, ideally with lower interest rates and lower monthly payments. While this may not be an option immediately after graduation, don’t think that you are stuck with the rates and payments for the entire lifetime of the loan. You may also may be able to save money by consolidating your loan. Consolidating your loan would be most useful if you have multiple loans from multiple institutions or organizations. Essentially, you are combining your debt into a single account, reducing the number of payments you will be making each month. If you’re pulling your hair out every month because you have three different due dates, none of which coincide with your pay schedule, consider consolidation. Consolidating your federal loans may be easier to save money, so when consolidating your private student loans always make sure you go with a company that has a history of integrity and transparency. There are many small, but important ways to save money during graduation season. It is always important to plan ahead and be as frugal as possible. While you only graduate college once, it’s not the family and friend’s graduation party that you are going to remember in ten years. Think on a macro scale – not just what job you want, but the benefits and disadvantages of where your job will be. Watch your loans like a hawk, and always be looking into ways for reducing payments and interest rates. There are options out there, you just need to put the work in to find them. Remember, graduating college is also your breakthrough into the “real” world, and take it from me, it is a lot easier to take that first step when feeling financially secure. 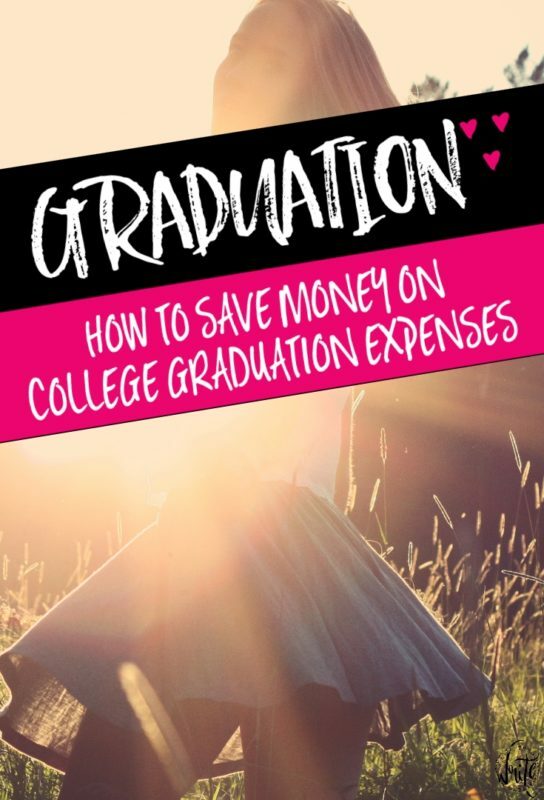 When it comes to graduation, celebrate to your heart’s content – the key is to be creative to save a little dough in the process!